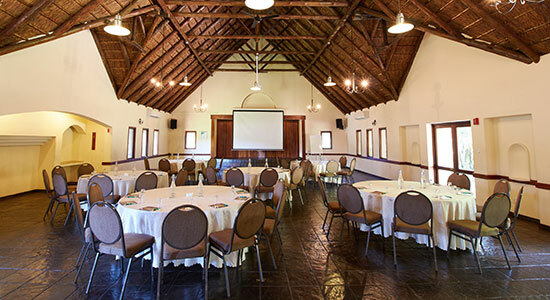 Bondev Thatch was originally a thatch roofed chapel that has been converted into a function and conference venue. 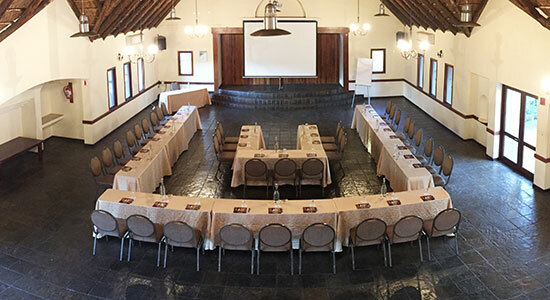 The charm and warmth of slate & thatch still makes it one of the favourite midsize conference venues we have on offer, and with a cinema style capacity of 200, and Double-U seating capacity of 60 pax, its perfect for any medium sized function or conference. A Half Moon banqueting setup is possible in Bondev Chapel (for ceremonies or presentations) for up to 40 pax. Although not popular, we have done Boardroom Setups for anniversaries and family meals. This option is available but not suggested. The Cinema Style set-up can host up to 200 pax, and is often used for awards ceremonies or as a chapel for weddings. 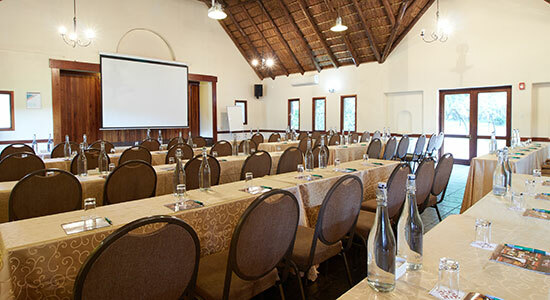 The Schoolroom Style is, has been successfully used for various functions and Bondev Chapel, but it is generally better utilised in a conference setup. 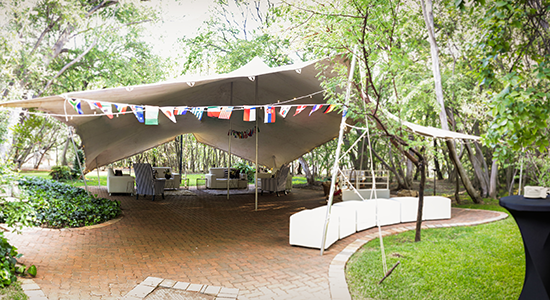 The large U-Shape setup is often employed in Bondev Chapel for private functions. We can accommodate 42 pax in this setup style. The Double U-Shape is available in Bondev Chapel, but generally suggested for conference style events, AGM-style meetings and Press Events. 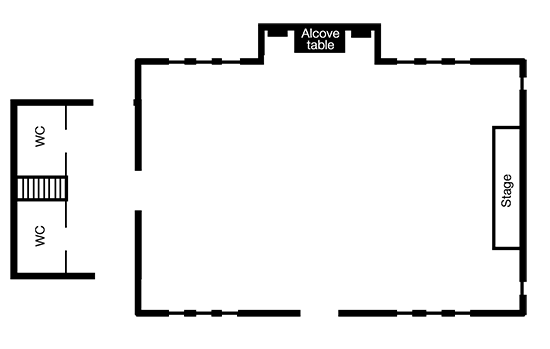 We can set up for up to 60 pax in this format.